Seeing is believing, so here is a recap of the highlights and interesting items from the past week on the LISK subreddit and beyond…..
From Feb 1st, anyone not voting for Tonyt098 will no longer be eligible for Gold level rewards from gdtpool. Lisk Delegate Group Announce New Member! If you have a minute or two please visit www.tonyt908.com, check out what Tony is proposing and how he hopes to share the returns from his node hosting. Tony, let me personally wish you all the best with your run. You are a credit to the community, and always on hand to help. During the Network Economics stage of the Lisk projects roadmap and after all modules have been extracted and migrated to Lisk Elements, HQ will also migrate the remaining Lisk Core application to TypeScript. Lisk Elements 2.0.0 can be found on Github here and Lisk Commander 2.1.0-rc.0 can be found here. Lisk CEO Max Kordek’s Talk from React Day Berlin is Released! Alongside Max on the conference floor was the whole Lisk User Interfaces team. They demonstrated Lisk Hub, Lisk Mobile and Lisk Explorer, as well as giving away a few paper wallets. I’m sure it was a good day out and an excellent opportunity to introduce more developers to the LISK project. Max also appeared on stage to speak about UI/UX in the blockchain industry, and now we finally get to see this talk thanks to the “React Day Berlin” Youtube channel. You can watch the video here. Don’t forget to give the video a thumbs up. 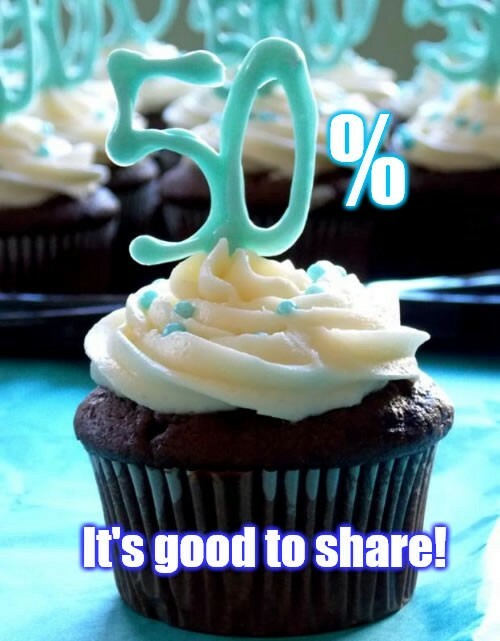 Lisk Delegate Joel increases his sharing percentage to 50%! Following the announcement that TonyT908 is to become a GDT Delegate by Feburary first, we had the delegate that is making way for him, Joel, have his say. Firstly Joel congratulated Tony on his acceptance by GDT. Concerning his own (now solo) delegate status, he said one of the first changes that he has made is increase his sharing percentage to 50% in order to better compete within the Lisk delegation process. Besides his forged LSK token sharing Joel is “working to enhance the pool distribution” and he aims to “lead the way concerning how taxation towards cryptocurrency mining/forging should be handled”. If you are voting for Joel’s delegate, you can verify your current pending amount here: https://jfernanz.github.io/lisk-pool/ . Should you have any questions, Joel can be contacted through https://lisk.chat/direct/joel . Crypto youtuber “Immortal Crypto” was impressed that Lisk HQ is not silencing the community. Lisk Reddit praised for the respect it has shown the community! 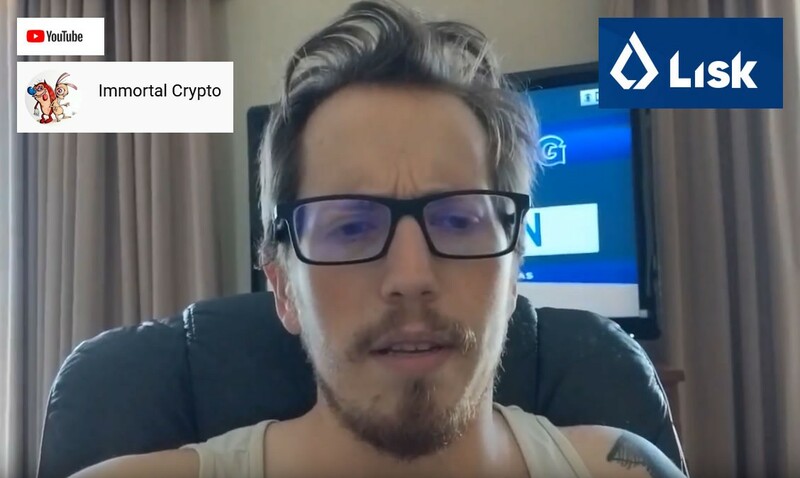 United States Crypto youtuber “Immortal Crypto” has released a new video titled “Litecoin Breaking Out Like AF Kid w/ Acne!” with a subtitle of “My thoughts on Litecoin / Lisk”. As the title suggests he starts the video off speaking about Litecoin, then towards the end of the piece he moves on to speak about Lisk. He says he is still bullish on Lisk and that he has noticed a lot of incorrigibility (unruly behaviour) of the community on the Lisk subreddit at present. Delays in sidechains and slow delegate reform were mentioned by him as the main reasons behind this. He said however that he does want to show his respect for Lisk HQ not censoring or silencing the community like other communities do. Wrapping up “Immortal Crypto” then closed with his feelings on how it must be very stressful for projects creating projects while trying to cope with the bear market. I took the liberty of cropping the video footage so you Liskers can get right to the Lisk talk straight away. You can see the video here. Don’t forget to give the Youtube channel of the original poster a thumbs up. 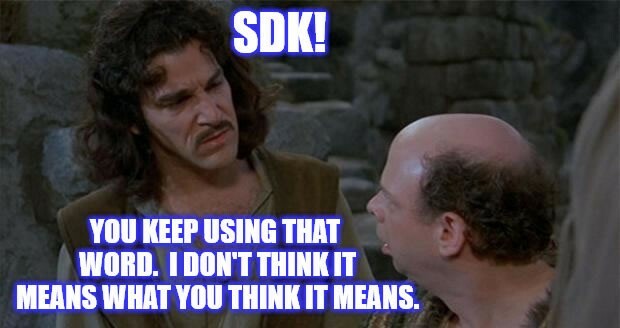 “The term SDK can have different meanings from project to project”. Lisk’s SDK to be a collection of APIs/libraries/frameworks/toolkits and more! Sometimes hard questions lead to strong answers, and such was the case I felt when solid community member /u/aceystojevski questioned Lisk’s “first mover” advantage when it came to its fabled SDK. He began by saying… “Dragonchain released their SDK today, and they are about 1.5 years younger than Lisk, also have an Interchain Patent to execute logic across different chains. Stratis has Sidechains ready, others have this in their scope to offer too, no more first mover advantage.” He then amongst other things mentioned the Lisk project’s speed of progress and how it needs “to pick up fast”. Enter /u/4miners AKA Mariusz Serek, a backend developer at Lightcurve the team tasked with the delivery of the Lisk platform complete with SDK. Mariusz took his chance to describe how all SDKs are not created equal. What follows is his complete reply…. “The term SDK can have different meanings from project to project. For some projects SDK means a wrapper around API(s) that makes the interaction with the target software easier. This is the case for Dragonchain. In our case, the SDK will be a lot more than just a wrapper for the API (which we already have). It will be a collection of APIs/libraries/frameworks/toolkits/etc. that will make the process of creation and customization of sidechains quick and easy. Stratis-like implementation is not good enough for us, as they use the centralized gateway (called federation) for interoperability between mainchain and sidechain. Similar implementation on Lisk network should be possible right now. Currently, most of our efforts are focused on the development ofc, as we know the faster we will be able to complete particular objectives of our roadmap — the chances that the entire project will become successful increases. You can read the full thread here, which includes further englightening posts by /u/aceystojevski and /u/4miners. That’s it for the recap of the week’s Highlights. I hope it brought you up to speed with all the weeks good news. These Highlight posts also go out daily on the…. The Highlights are also included in my weekly roundup on the Bitcoin talk forum’s LISK thread. So keep an eye out for them on these outlets likewise.